Everyone in New York City knows you can’t go wrong with wearing all black. On the runway for his Fall 2015 ready-to-wear during Mercedes-Benz Fashion Week New York on February 14th, Alexander Wang proved that black will always be the new black. As the color can sometimes appear flat on the runway or in photos, there was nothing basic about the “all black show.” Punk and goth subculture stables such as studded platform boots and slicked back hair reminiscent of 90s grunge gave the sleek leather looks a distinct edge. Model of the moment Kendall Jenner’s fitted black vest and fluid skirt accented with chain fringe at the hem is being hailed as the best evening look of the collection. Indeed, the stylization was bolder than the looks themselves, yet bold is the word. 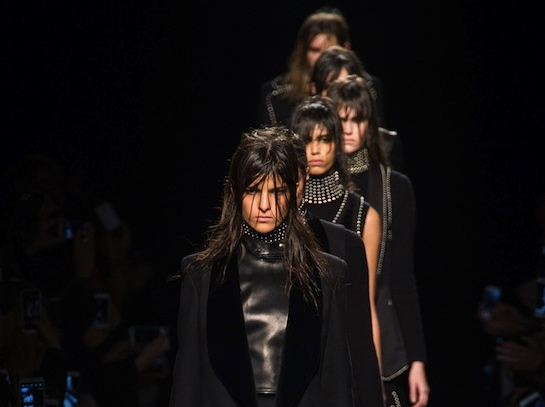 Wang made a statement by giving New York what we want, all black. Nothing was romantic, nor meek. 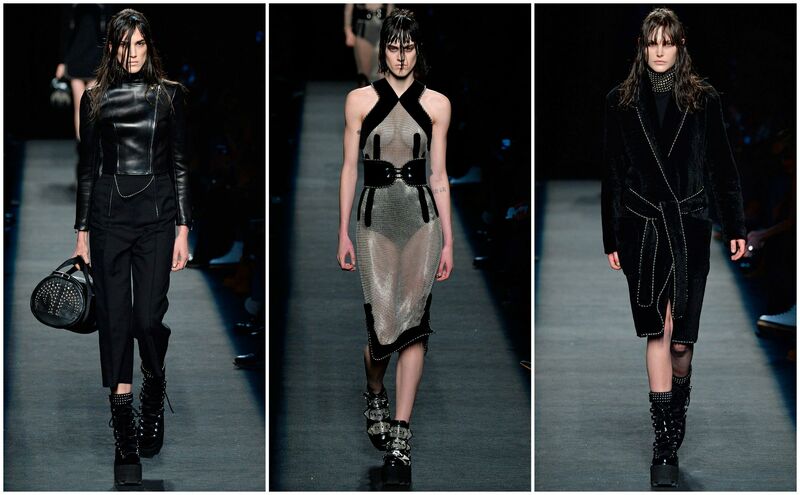 The looks presented at Alexander Wang‘s 2015 Fall Ready-to-Wear took punk street style and merged it with luxury designs. Medieval inspirations, such as the hem on the skirt, made alive by Kendall Jenner, contrasted futuristic sheer dresses for looks that are bursting with cool confidence that was flawlessly executed. It was as if this season Wang decided he was going with pure attitude to create one of the most talked about shows of the New York fashion week.